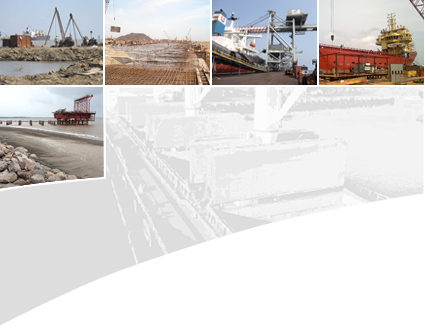 We have been working as Lenders Engineer and Technical Consultants, for construction of several ports of international standards, in places like Gujarat, Maharashtra, Orissa, Andhra Pradesh, West Bengal and Tamil Nadu. These ports handle diverse range of cargo including containers, liquid chemical cargo, bulk cargo, LNG, coal, iron ore etc. Our services cover all aspects of design including comprehensive surveys, master planning and engineering design; estimation, tendering and bid evaluation; project management; operation and maintenance as well as arbitration.